S-OIL was established in 1976 and cultivated management characteristics with a mobility to match the international generation, and a management strategy for its profit-base to grow as a competitive oil-refining company. 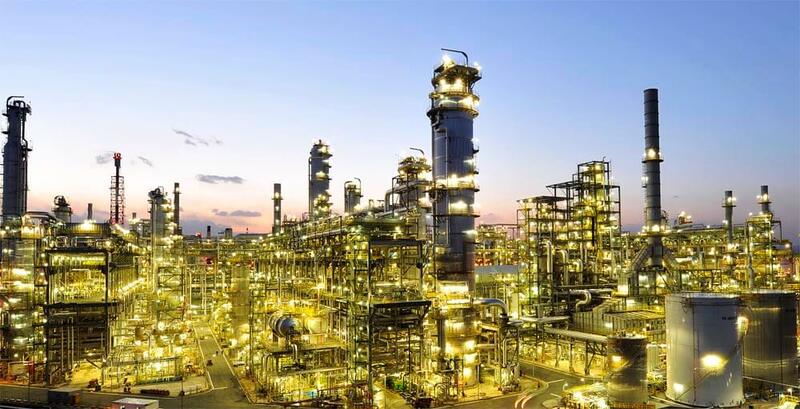 The company has facilities that produce lube base oil, petro-chemical products, and crude oil refining facilities of 669,000 barrels a day in the Onsan National Industrial Complex of Ulsan in Korea. Based on its worldscale sized upgrading facilities, the company is establishing itself as a company that leads in environment protection and consumer protection by producing and supplying high quality petroleum products. S-OIL has successfully operated the world’s largest Bunker-C Cracking Center (BCC) since the middle of 1990s, which was 10 years ahead of other competing companies. Competition and profitability were innovatively increased through the BCC. Furthermore, the company seeks marketing and production strategies connected to local and foreign market while maximizing efficiency. Moreover, the company moved away from the existing model in a local oil industry that was recognized as an industry for domestic demand. Instead, the company exported more than 60% of produced items every year by concentrating on entering the overseas market. Now, the company has a leading role in changing to a high value exportation company from the local oil industry. While maintaining competition obtained from investment, the company promoted an S-OIL Expansion Project including the 2nd Aromatics Complex to increase profit, and started commercial operation from April 2011. After 3 years of planning, design, and construction, the project was successfully completed, and the company started to possess the groundwork to take a leap as an excellent company with the best competition in the petro-chemical industry area in the provision of products from Korea and Overseas. S-OIL has been firm in its position as the leading company in the lubricant market, reforming development and sustainable change after entering the lubricant business. S-OIL diversified its lubricant portfolio according to market demands, and S-OIL possesses both a lubricant brand with economic feasibility in the form of Dragon, and a high quality lubricant market that is represented in S-OIL 7. S-OIL lubricant product is in charge of the sales and production at S-OIL TOTAL LUBRICANT, established by combining with TOTAL Raffinage Marketing S.A company in 2008. Saudi Aramco, the world’s greatest petroleum company that led the growth of S-OIL as the largest shareholder from the early 1990s, became the largest shareholder of S-OIL in 2015. Through this, S-OIL gave high reliability to all shareholders. Also, high accessibility was obtained, as the global resource of Saudi Aramco will become a new opportunity for the growth of S-OIL. Through the mega investment in the Residue Upgrading Complex (RUC) / Olefin Downstream Complex (ODC) Project to enter petro-chemical downstream business with the active support of Saudi Aramco, S-OIL will be able to obtain new powers for sustainable growth while also possessing appropriate business structure for the position of a comprehensive energy company. The successful completion of RUC/ODC, aimed for 2018, will be a foundation for the vision of S-OIL as ‘The most competitive and admired energy & chemical company in Asia-Pacific’ along with expansion in the chemical business area.